Monday closed (key collection by prior arrangement). Tuesday, Wednesday, Thursday 10am - 3pm then 6pm - 10pm. Friday 10am - 11pm. Saturday 10am - 11pm. Sunday 9.30am - 5pm. Check-in after 6pm unless otherwise arranged (We will accommodate where possible). 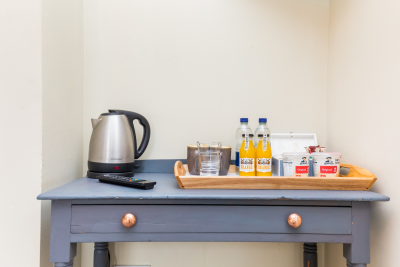 For check-ins between 3pm and 6pm (key collection by prior arrangement) Breakfast is served in our Bistro below the rooms on Saturday and Sunday mornings only (additional charges apply). Please let us know if you'd also like to make a reservation for breakfast (Saturday & Sunday only), lunch or dinner! For a Christmas/New Year stay there is a minimum 3 night booking. Please ensure you are staying for 3 nights over this period. A beautiful light, spacious room on the first floor above Morleys Bistro. This room has a king-size bed and a single bed. The accompanying en-suite offers both a bath and shower. 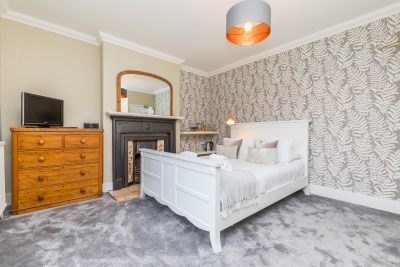 With a period fireplace and views over the village green, this really is a delightful room. Our smallest double room out of the three provided at Morleys Bistro. A snug double room with a south facing aspect. Views from the lovely light bay window overlooking the rear garden. Located on the first floor directly above the restaurant and bar. An En-suite Shower room is also provided along with a large storage cupboard. TV. 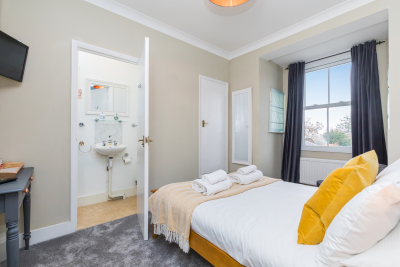 A lovely double room located on the second floor located at the back of the property. A perfect view of Wolstonbury Hill is framed by the window in this room. A shower room en-suite is also provided. 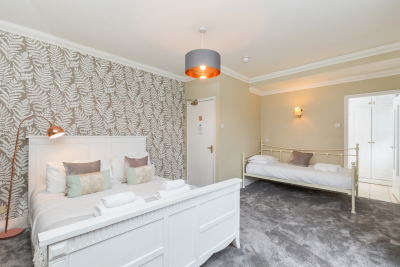 Our only twin room, located on the second floor with views over the village green. A shower room en-suite is also provided with a large storage cupboard in the room too. 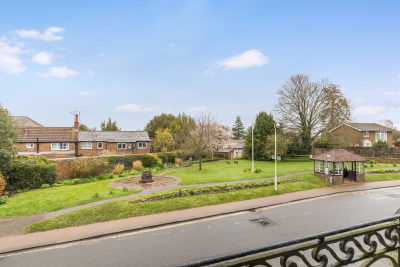 A light double room with views of the High Street, village green and surrounding countryside. This room is located on the second floor. A shower room en-suite is available and a large storage cupboard too. Sorry, we are fully booked for those dates! 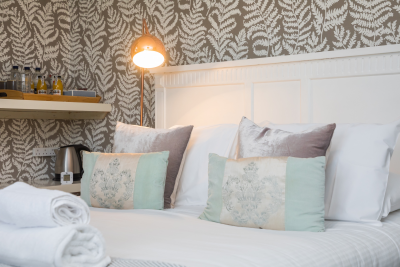 For bookings between 24th December and the 1st January, a minumum 3 night stay is required.